Accountancy forms the backbone of commerce, government, and even computer systems. Accountants prepare and file tax documents, audit organizations, and can be vital to the operations of an IT department. For that reason, attaining the top accounting credential, a CPA license, is one of the most strenuous tasks in professional life. 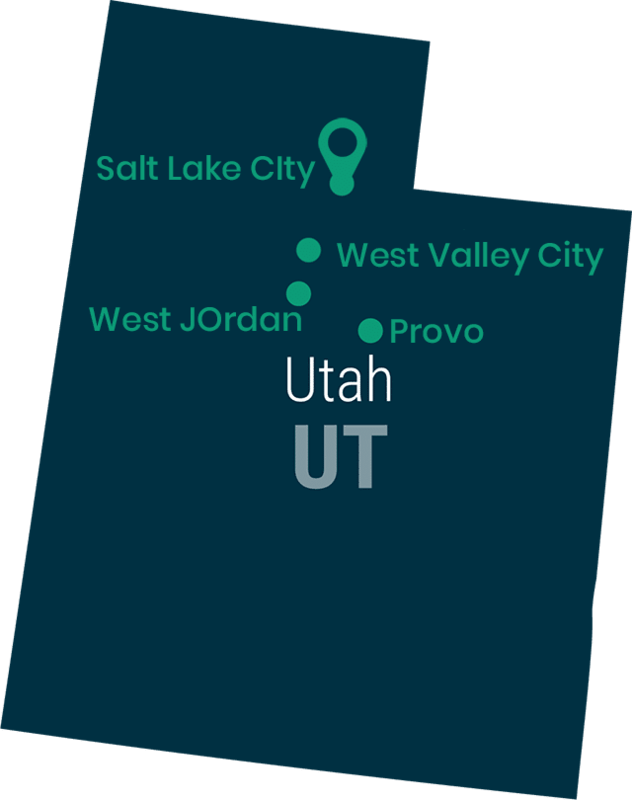 Each state has its own requirements for its CPAs and Utah is no different. Keep reading to learn the steps you must take to become licensed by the Utah Board of Accountancy. The bulk of your preparation for the CPA test and licensure consists in your education. It's vital to put in long hours studying and make sure that you get the highest GPA possible. Not only do you need all of the information for the CPA examination, but your future employers may be interested in your class rank. Naturally, they will want an assurance that they are providing their clients with the best advice and service possible. If you completed your degree abroad, you may still apply for licensure in Utah. The board needs assurance that your education meets domestic standards, however. Thus, you can have your credits evaluated and verified by either the National Association of Credential Evaluation Services (NACES) or NASBA's International Evaluation Services. Keep in mind that, despite your degrees, you may still need to take a few courses in an accredited college or university. As in every state, to become a CPA, Utah requires that you pass all four parts of the Uniform CPA Examination as prepared by the American Institute of Certified Public Accountants (AICPA.) This is one of the most difficult professional examinations, so make sure you are fully prepared. In fact, the Board insists on it. To help ensure that you have a background sufficient to pass the exam, the Board requires that you complete at least 135 semester hours in accredited classrooms. You should be able to prove that you are enrolled in the remaining 15 you need to satisfy the full licensure requirement. The board does not include any requirements for your age or citizenship, nor is there a state residency requirement for operating as a CPA in Utah. You will need to pay all applicable fees with a credit card, however. On top of the academic requirements, Utah needs assurances that you will perform your duties as a CPA to the utmost benefit of your clients or employers. There is no better way to test your knowledge and fortitude than in the field. Utah thus requires that you work for a minimum of one year under the direct supervision of a licensed CPA. You must work full-time and complete a minimum of 2,000 hours of verified labor. The Utah Board will accept any experience from any point in your education. Thus, you may work as an intern during your undergrad years, or even as a paid accountant at any time. However, you should be sure to take a close accounting of your time. Every hour you spend exercising your accounting or auditing skills should be noted. Before you leave your position as an intern, make sure that your supervisor completes a Verification of Experience form, as available from the Board website, or via the Utah Association of Certified Public Accountants (UACPA.) The form must include a verification of your hours in accounting and will require your supervisor's signature and license number. If you spread the experience requirement over a number of different locations and contexts, make sure that each is accounted for on its own form. To sit for the exam, you need a minimum of 135 semester hours of fully accredited coursework. The full requirement for your license is 150, so be prepared to show that you are enrolled for the remaining 15 hours. However, you might as well take the remaining time to prepare for the exam. Keep in mind that each part has a pass rate around 50% and you must take and pass all four sections in 18 months or less. You can take the exams in any order you wish, so work on a successful strategy for taking the test. That is, you might save your most difficult tests for later, thus allowing yourself as much time as possible to study. Alternatively, you could take the more difficult parts first so that you can get a feel and then have enough time left to retake them, if needed. You must complete, and account for, 2,000 hours (one year) of accounting experience. This time must be noted on the appropriate page of your application, and be accompanied by your supervisor's signature and CPA license number. You may accrue this time throughout your academic career. Note that if you have multiple employers during this time, each must complete an individual copy of the form. The Board also requires that you complete the AICPA's ethics course and pass the exam. This is a self-study, open-book course and exam. You may purchase a copy of the course from the UACPA or you might elect to order it directly from the AICPA. The AICPA website offers the option of taking the course online, which many find more expedient. Once you have attained the distinct honor of holding a CPA license in Utah, you must continue to maintain and develop your professional knowledge with CPE hours. These hours are accounted for on a biennial basis, but you will have no such requirements during your first licensure period. To complete your CPE requirements, you can take courses online or some form of independent study. Many fulfill their CPEs through attending conferences or seminars. You can also receive CPE credit through writing and publishing profession-specific articles or books. An independent party must review your written work and you may only claim credit upon publication and may not exceed 25% of your CPE requirement. The road to becoming a CPA is long and arduous. The license is one of the most difficult professional credentials to attain and maintain. However, it is worth it. Your work will help any number of businesses, individuals, or even governmental agencies to grow and thrive. Many business owners and managers don't make any decision without first consulting their CPA. That'll be you! Congratulations.